I am pleased to announce that my next exhibition will open on Monday 22nd 16th February 2015 at Helmshore Mills Textile Museum in Helmshore, near Rossendale in Lancashire. 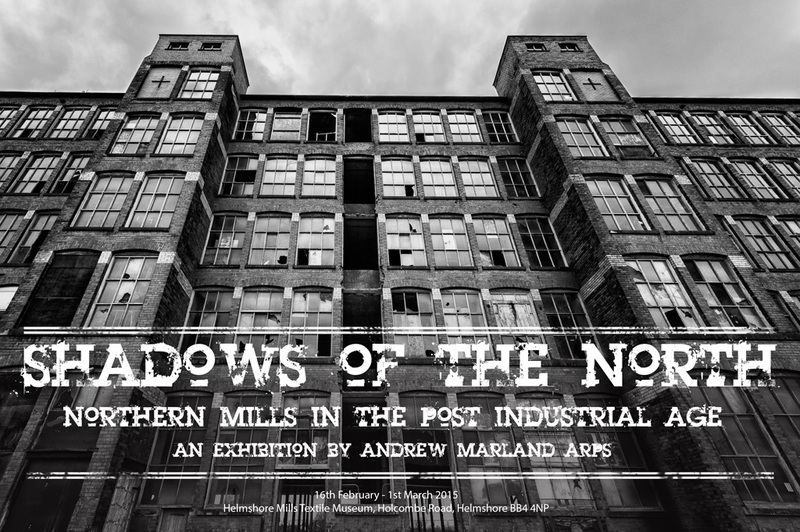 Shadows of the North is a complement to my Mechanical Landscapes exhibition and focuses on the textile mills of the north of England. It will be slightly larger than my last exhibition and will feature around 20 monochrome photographs of the mills and their contents. The exhibition will only run for two weeks (over the half term period) when the museum reopens for 2015, so there is limited time to see the exhibition. However, I am hoping to show this exhibition at some other venues in the area in the next year or so – announcements will be on here and on Twitter (@mechanicalvista) when I have news!